Three black and white photographs of Peplow taken by Geoff Fletcher. This is one of his earliest photographs. 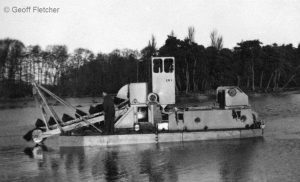 In 1958 the Staniers who lived at Peplow Hall hired a ditch dredging company to dredge the lake. This is the Dutch built device they used. The photograph was taken on a 120 roll film on a camera with a plastic lens. It was digitised by scanning the negative. Jim Taylor’s shop and garage at Peplow crossroads taken in July 1962. 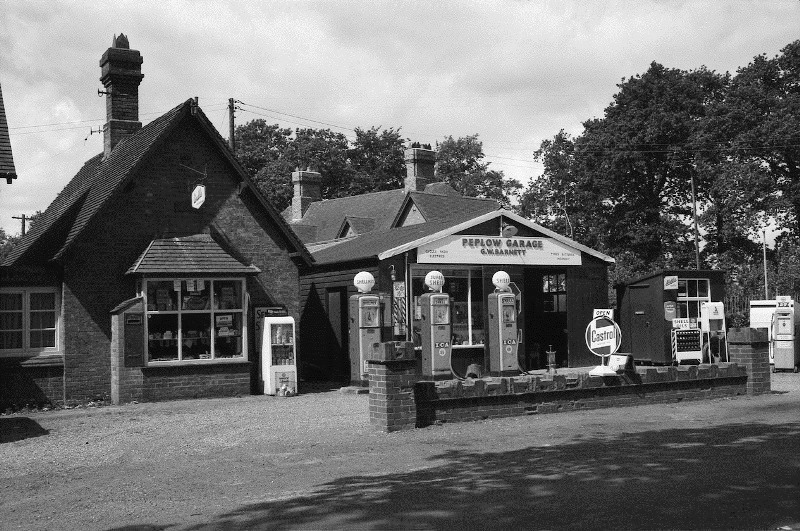 The site is now Wilcox’s Garage. 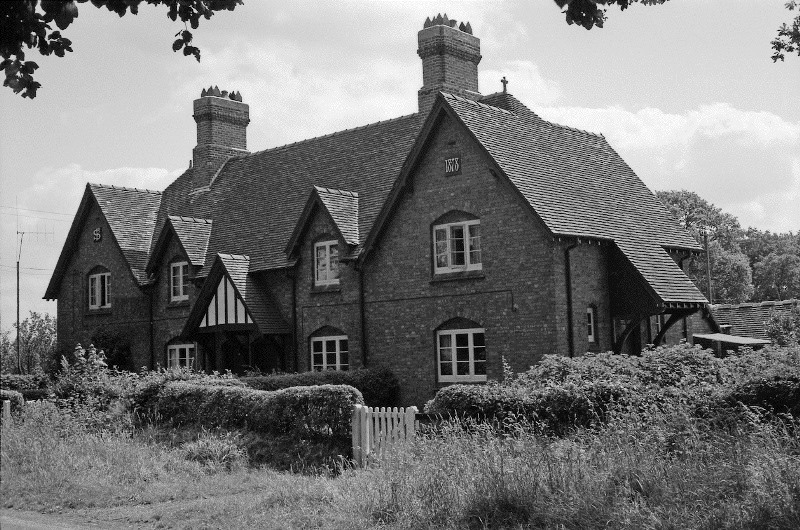 The nearby Crossroads Cottages photographed on the same day. 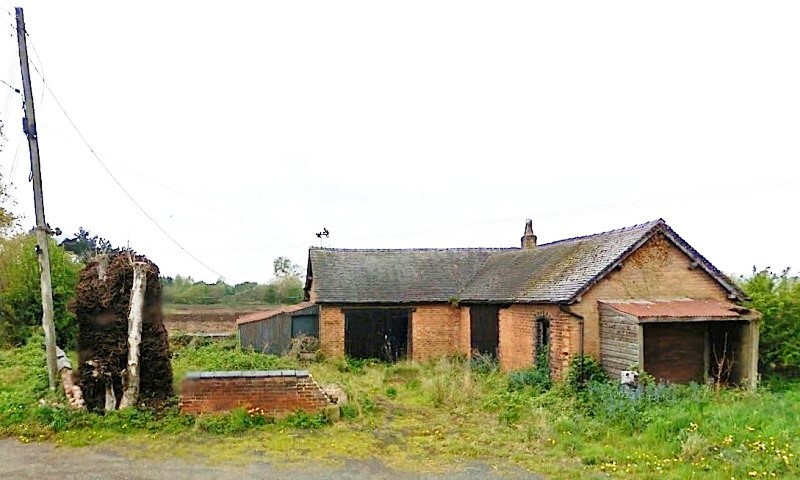 A landmark that has disappeared recently is the “horseshoe tree” at the disused smithy at Peplow crossroads. We are not sure how many years it took for the blacksmiths to accumulate this pile of used horseshoes, nor how many there were in total. The horseshoes and the tree they surrounded was removed in 2013, when the buildings and the site as a whole was tidied up. The smithy and the horseshoe tree seen from across the junction. 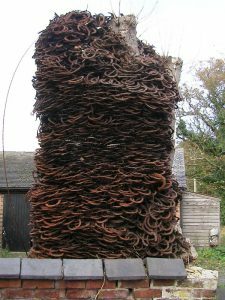 A close-up of the pile of horseshoes as it appeared in November 2006. 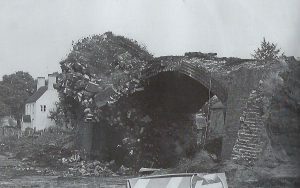 This photo shows the half demolished former ‘hump backed’ railway line bridge at Weobley, which was an awkward feature of the road – as evidenced in some of Gerald Mothershaw’s local history books, where he mentioned that the parapets were demolished several times, or grounding took place, when large vehicles crossed it, especially WW II transport vehicles heading to/from nearby military bases. 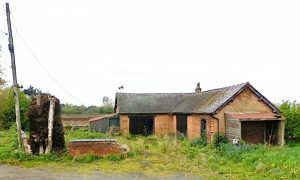 Ther house in the background, Weobley Smallholding, is still there and if you look carefully when passing, some of the former railway line fence posts either side of the road indicate the original railway route. 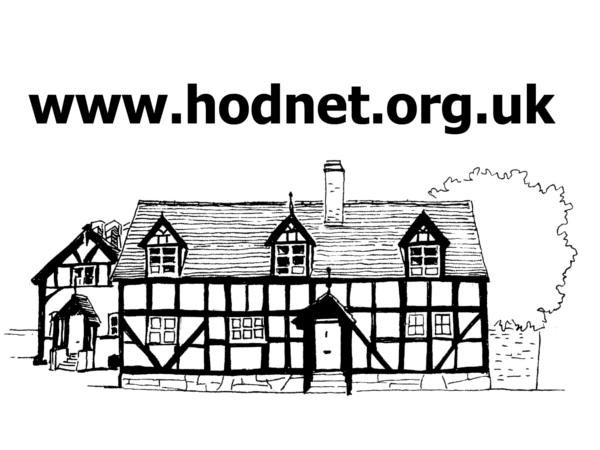 If you have any other pictures similar to these which you are willing to share via the website, instructions on how to send them to us are on the Old Photographs Index page.